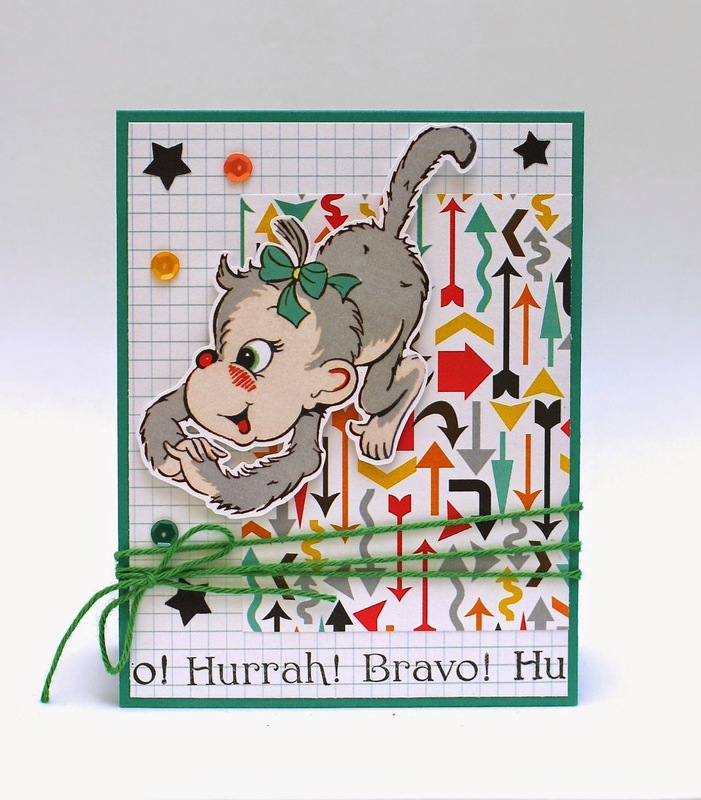 Waltzingmouse Stamps - Release Day Blog Hop! 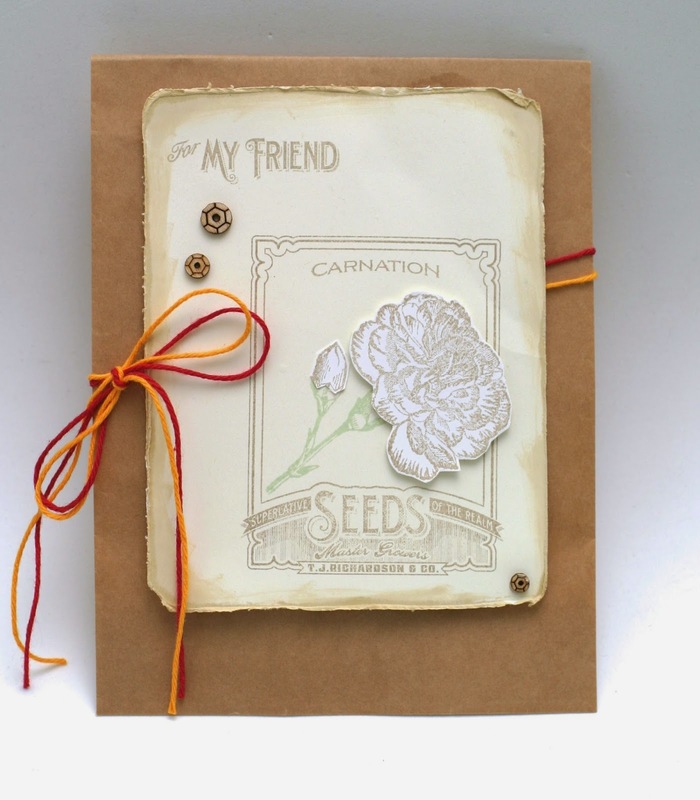 Hello friends and welcome to the August release day blog hop with Waltzingmouse Stamps! If you're here from Jeanne's blog, you're in the right spot. If not, head over to Claire's blog to get started! Are you excited for today's release? What are you going to get? There's definitely something for every taste today and I can't wait to see what you create with these wonderful sets! Next up is the fabulous Karin and here is the rest of the hop order just in case you get lost. Thanks so much for visiting today and throughout the release previews! Waltzingmouse August Release Previews - Day Three! Hello friends and welcome to the second of three days of previews for the Waltzingmouse Stamps August release! How did you like what you saw from the DT yesterday? I know I sure loved the previews - so many new ideas! Today we're getting into a different holiday mode - Halloween! 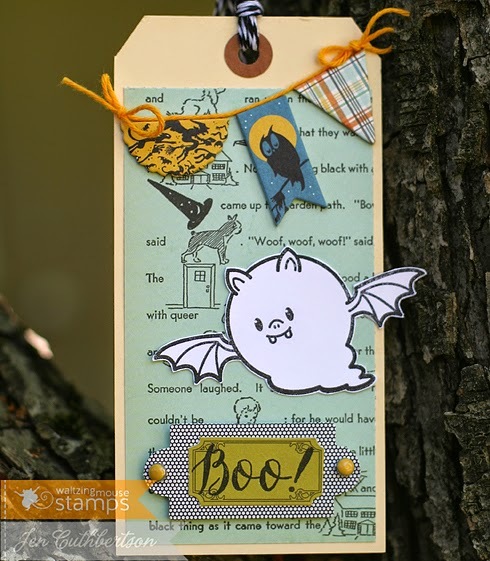 For my first project, I made a tag using the new Boo and Friends and Peek a Boo Sentiments sets! 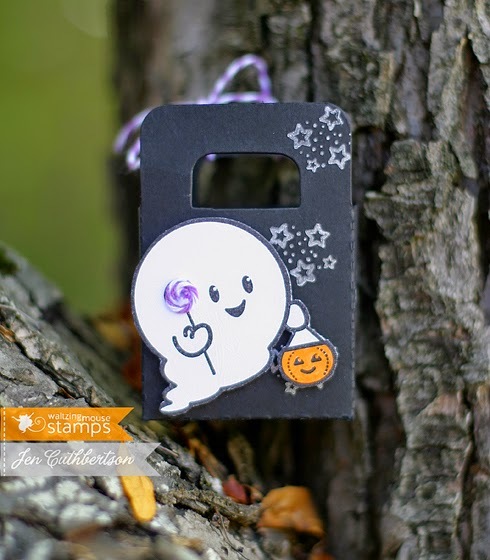 I stamped the cut little vampire boo onto white card stock, cut him out and layered him onto a tag covered with some Halloween patterned paper and a chipboard banner. 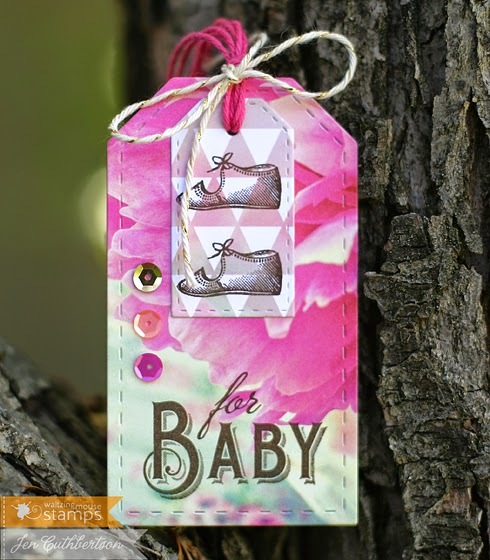 I finished the tag by stamping a die cut tag with a "boo!" sentiment and adding a little twine to the banner. 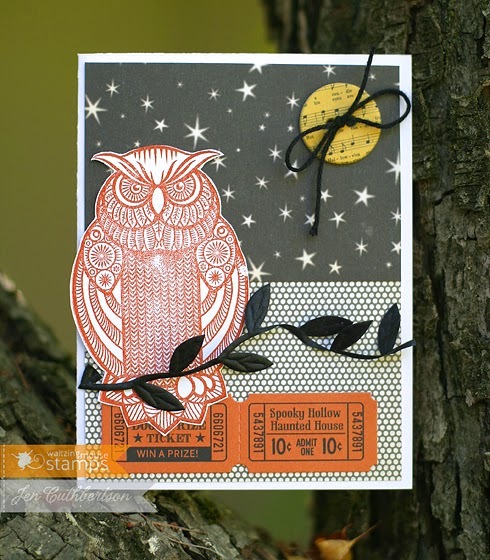 My second project uses Great Big Owl which is such a fun set and so versatile! There are a couple of huge owls in the set and one has an open belly which can be used as a clever book plate! I stamped this guy using some orange ink and layered him atop some halloween papers and embellishments for this fun card! Waltzingmouse August Release Previews - Day Two! First up from me today is another wonderful baby set called "Little Darlings Sentiments" that pairs with "Little Darlings" you will see featured by other designers today. 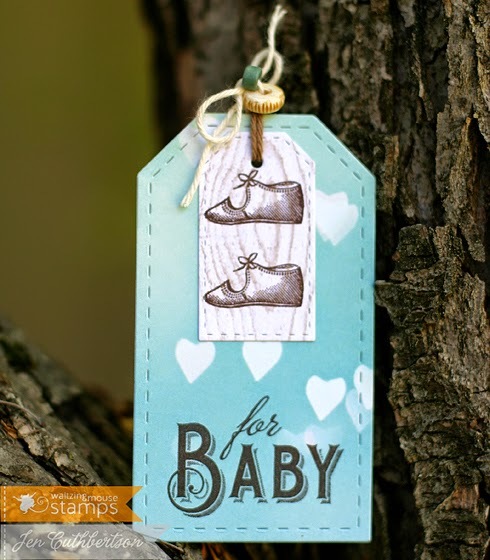 I paired the "for baby" sentiment along with the little bootie from "Vintage Baby Shower" to create a couple of tags perfect for a gift for a special little one. I cut tags using the "Stitched Tags" dies and layered them together, stamping the little bootie on the smaller one and the sentiment on the larger one. I finished them differently using sequins and shimmer twine on one and some wooden beads on the other. I adore how they turned out! Finally up today is something I had a lot of fun with - a Christmas card using 'Tis the Season! You will adore this set with its large-scale sentiments! I heat embossed this large sentiment in white onto some candy cane stripe paper and added some snowflake embellishments and some fun trim. Thanks so much for visiting today and I'll see you back here tomorrow with something a little spooky! Hint, hint... Oh, and be sure to check out the rest of the fabby previews from the DT! Waltzingmouse August Release Previews - Day One! Hello friends and welcome to the first of three days of previews for the Waltzingmouse Stamps August release! I've had such fun creating with these wonderful stamps over the past few weeks and know you will, too! First up today is the wonderful "Vintage Baby Shower" set! This set is full of images and sentiments that are perfect to use on shower invitations, thank you cards, or anything baby! 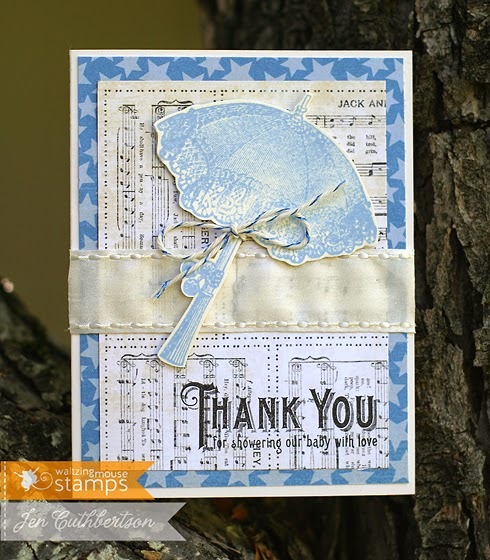 I love the vintage parasol and used that along with the thank you sentiment on this card. I started off with a cream card base and layered some patterned papers, stamping the lullaby paper with the sentiment and then stamping and cutting out the parasol. I finished the card with some ribbon and some shimmery twine. 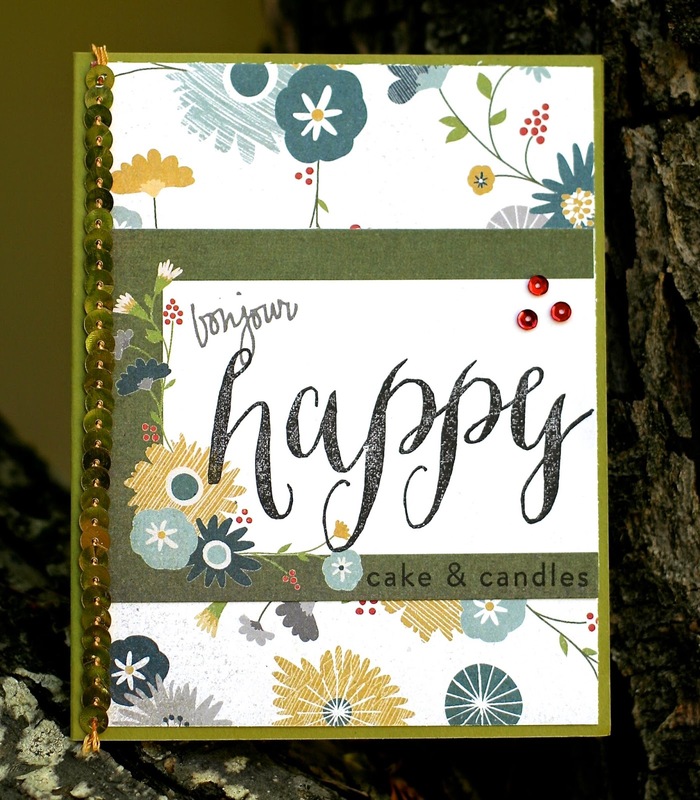 Next up is an awesome set called "Hello Happy Thanks and you can see from my projects that the sentiments can be built using some large words and smaller words in the set. 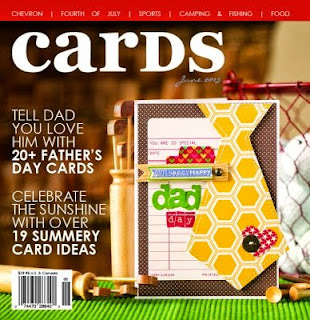 I love how versatile this will be - feminine or masculine cards! 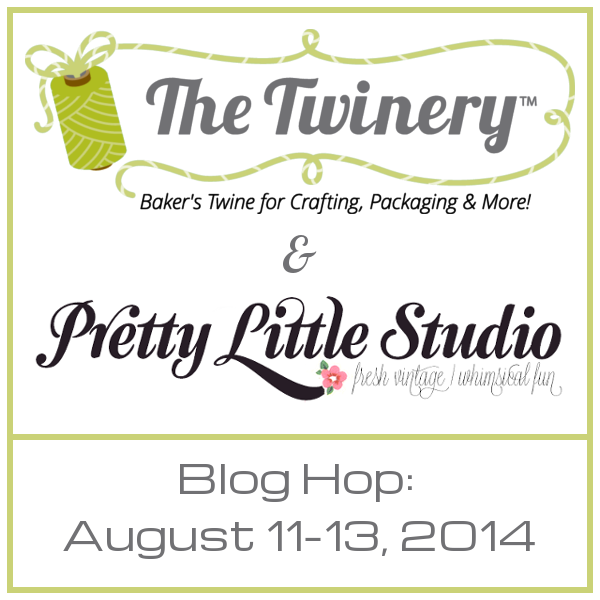 The Twinery and Pretty Little Studio Blog Hop! 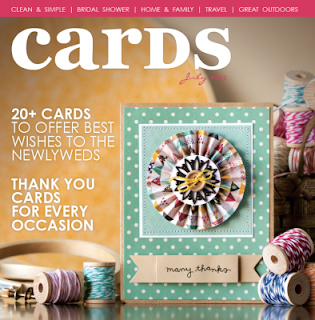 The first project is a card that can be used for a new baby or other congratulatory occasion. I started off with a green card base and layered two of the patterned papers from the collection pack over it. I stamped the bottom of the grid paper repeating the words "hurrah!" and "bravo!" I added the adorable Silly Shadow die cut and finished it off with some star stickers, some sequins, and some Solid Peapod twine. 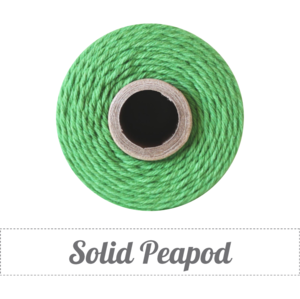 My next project is a fairly simple tag. 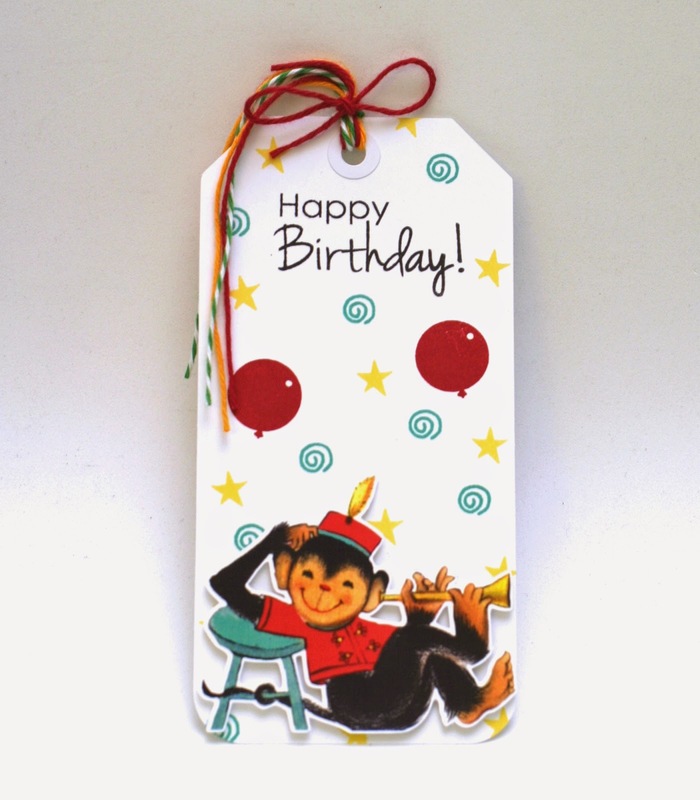 I took a large white shipping tag and stamped it with the birthday sentiment, some balloons, and some stars and swirls and added the Silly Pepper die cut to the bottom. 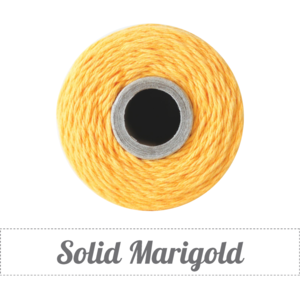 I tied the tag with some Marigold Solid, Peapod Stripe, and Marachino Solid twines. My last project is an 8x8 page for Amelia's scrapbook. I used the cute heart paper from the collection pack as the background and punched a couple of hearts from the red polkadot paper. I mounted two photos of Amelia when we visited Patrick's Point this summer wearing her sock monkey fuzzy romper thingie. I love those fleece zip ups and this one had sock monkey feet, a little emblem on the chest, and ears on the hood. Adorable. I added some Marachino Solid twine to the edges of the photo and finished with the Silly Maddie and Sparkle die cut. Hello friends! 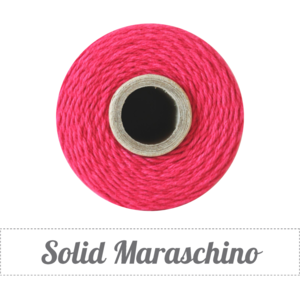 Today I'm up on the Waltzingmouse Inspiration blog with a fun gift bag project. I hope you can head over there and check out what it was for!